There are very few musicians who can be turned towards to feel the beating heart of African-American ethos. Horace Tapscott is one of them. 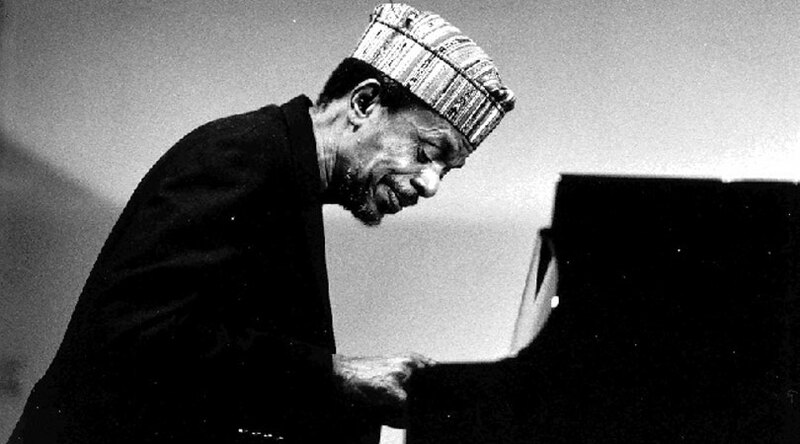 The blunt force with which he strikes piano keys is reminiscent of the hard edge in the deepest part of the blues. The angularity of his attack, which makes for a dramatic, slanted enunciation, also reminds the listener that the blues can also be beautiful and subtle. In Mr. Tapscott’s musicianship there is also the reminder that the blues swings and is ebullient as it proclaims the triumph of human endeavour, but it is also haunting as it traverses through all the pain of being black in America. This is why he always gave the feeling of being heraldic and served as a moral compass for musicians and listeners alike. Mr. Tapscott’s music produced an elemental ache in the heart of the listener just as much as it shaped the eventual joy that came from experiencing that melancholic thorn in the soul. Such was the power of Horace Tapscott’s music as it roamed the topography of African-American culture that it described the racism against a people in a brutal and unexpurgated way. But more than anything, more than the striking mirror it held up against society, it reflected the anguish of discrimination and the art that pronounced it. 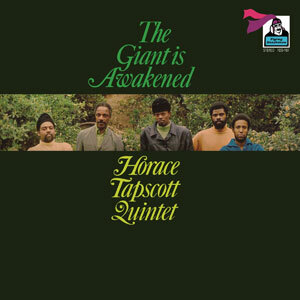 Horace Tapscott’s seminal recording The Giant is Awakened was cause for celebration when it was first produced in 1969 by Bob Thiele and released on the Flying Dutchman imprint. And now, Jonathan Horwich and his International Phonograph Inc. have produced a brilliantly packaged re-issue. This is a project worthy of recognition all over again for all of the reasons mentioned earlier. But it is also worthy of remembering again for the genius of Mr. Tapscott’s writing. First of all, like all modern masters, the pianist shows his deep sense of history. He belongs to the finest tradition not only of pianists but also of musicians who held fast to unbridled excellence. “Fats” Waller—the genius he celebrates in his own composition entitled “Fats”—runs through his veins and spills out onto the keyboard. And like that other genius, Mr. Tapscott wastes no time on useless virtuosity. Each note is heartfelt, but is also precisely where it should be. This makes for the lean and sinewy manner in which his phrasing and also his lines excite the listener. His stories are also vivid: They can be ominous as in “The Giant is Awakened” and “The Dark Tree” and they can also be fantastic as they unfolded in a vivid, yet dreamlike manner, as in “Niger’s Theme”. At a time when much music is thin on substance this record is a timely reminder that great music should never be forgotten. Unfortunately the record also comes at a time when John Coltrane’s Offering and Charles Lloyd’s Manhattan Stories are being lionized in the press. But The Giant is Awakened should not be allowed to pass like a ship in the night. Nor should the importance of Mr. Horwich’s endeavours be allowed to be in vain. This is and will always be an important record returning at an important but unfortunate time in the history of discrimination against the African-American Diaspora. Personnel: Horace Tapscott: piano; Black Arthur Blythe: alto saxophone; David Bryant: bass; Walter Savage Jr: bass; Everett Brown Jr: drums. Thank you so much for this very well observed essay on a long overdue reissue and re-evaluation of the music of Horace Tapscott and especially this quintet. THE GIANT AWAKENS has been out of print way too long. It figures it would take a UK music-loving concern to show some love, respect and aesthetics for this indigenous U.S. music that we here in No America so thoughtlessly discard. A treasure as is your essay. I’ve used it via link and the lovely original vinyl recreation to CD scale on the web site of KBOO community radio in Po’town (Portland, Ore) where free-form radio pioneer Daniel Flessas has hosted another After Midnight 3-hour session of THE OUTSIDE WORLD climaxing with the 17 minute plus title track blessed as it is with two extraordinary bassists (that arco-pizzicato interplay is a revelation of jazz syntax). The broadcast will be archived for 2-weeks which is all the clearance a community radio station can get to keep copyright music programming available. But now thanks to this UK reissue of Bob Thiele’s FLYING DUTCHMAN catalogue, hopefully more of the sounds of Central Avenue in L.A. during the latter half of the 20th Century will be accessible. Also, as I’ve in years past contributed to OUTSIDE WORLD and KBOO’s nurturing of improvisation by reading from the Horace Tapscott biography researched and written with Horace by Steven Isoarde, all of your readers might also be interested in the rollicking history of Horace Tapscott’s Pan Afrika People’s Arkestra community cultural revival, SONGS OF THE UNSUNG (Duke University Press, 2001). Keep on doing Raul & JAZZ da GAMA!……….